I sat quietly among the flurry of languages on L2 on the Barcelona metro. We were heading west towards La Pau, but few would go that far. At 2:30 in the afternoon, it was unlikely that these were commuters. I looked around and tried to guess who would be getting off at the same stop as me. Would it be the man wearing cargo shorts clutching a map with a Nikon DSLR hanging around his neck? Perhaps the teenage girls with tan lines and short shorts speaking French would take leave with me. At the stop, the car I was in all but emptied. I followed the signs the flow of people to the stairs and made my way up. My dress was long – it was the only way to cope with the unfamiliar heat – so I held it as I made my way up. I tripped anyway. As my eyes adjusted to the sun I tried to decide my expectations. Should I expect to be let down? Would I be awe-inspired? I had heard mixed reviews. Some people told me this Gaudi-designed masterpiece would change my life; others said it is just an unfinished church. If I’m honest, I almost didn’t go at all. After my trip to Parc Guell I knew I would be engulfed by people without a moment to consider the work in peace. People were lined up around the corner, waiting in the hot mid-day sun for a chance to see what millions of people flock to Barcelona to see every year. I decided before that I wouldn’t go inside. I crossed the street to stand in the shade. When the tour buses departed, I looked up. It certainly is like no other church I had ever seen before. The stations of the cross are represented, the pillars are tall and the statues elaborate. But that isn’t what was so remarkable to me. Standing on the sidewalk it dawned on me: Sagrada Familia is representative of so many things Spanish. Spain is incomplete. Don’t stop here and go straight to the comments to give me a piece of your mind. Let me make my case. My observation doesn’t just lie in the structures and architecture that have taken centuries to build; it’s a feeling I get from the people, current events, and the history. In 1936 there was a Spanish Civil War that lasted 3 years, led by General Francisco Franco and backed by Hitler. If you ask Spanish historians, many would argue that Spain was the first place to experience the blitzkrieg. There is no official number, but it is estimated that over 400,000 people died during those three years, after which Franco took power and ruled the country under a fascist regime. 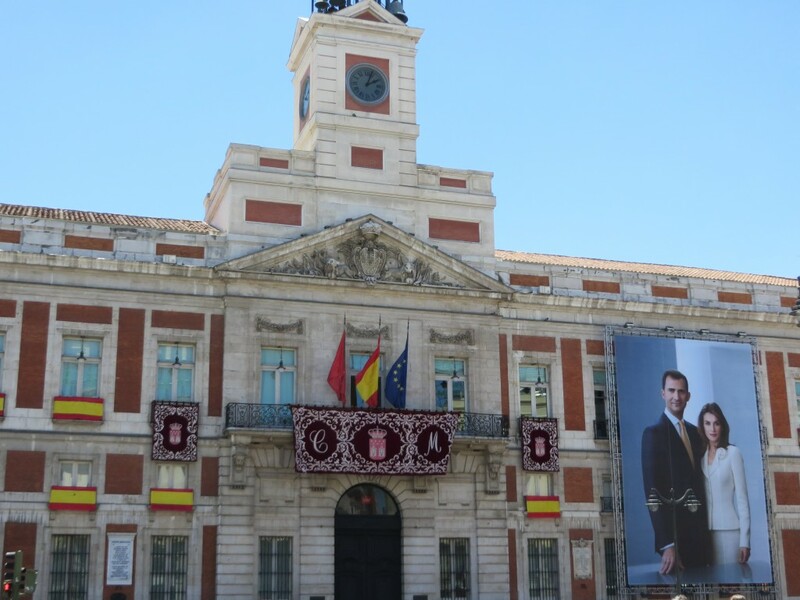 He stayed in power until 1975 when he died, reinstating the monarchy and putting King Juan Carlos (if that name sounds familiar it’s because he recently abdicated the throne) in power. Juan Carlos had agreed to uphold the tenets of fascism, but when Franco died he brought democracy back to Spain. Think about that for a second: fascism in 1970s Western Europe. This was when El Pacto del Olvido – the pact to forget – was made. 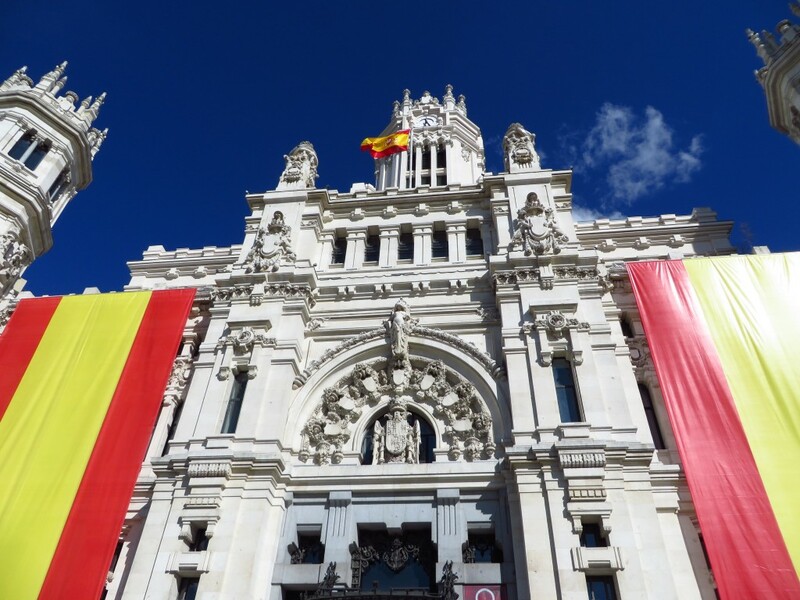 It was a political decision to move past Francoism and look towards Spain’s future. No truth, justice, or reconciliation. Just let bygones be bygones. Celia, a tour guide I met in Madrid, said to our group that her family still bears the wounds from the war and regime. “We, Spanish, don’t talk about it. We have a lot of pain from this,” she said. Celia explained that her mother and her grandmother lived in a time where they couldn’t be educated, work, or travel without the permission of their husband or father. It isn’t just in polite company that these issues are swept under the rug – it’s in the history and culture as well. 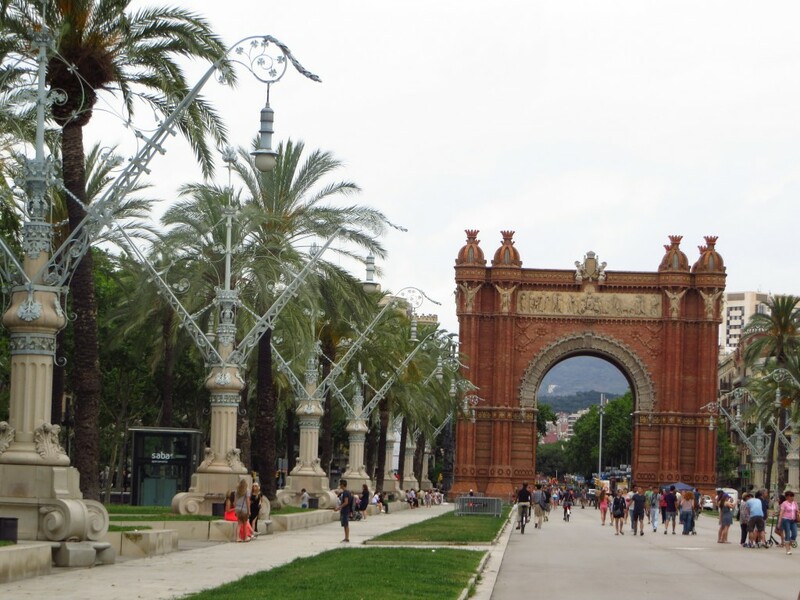 The country has since removed statues of the dictator, but Barcelona is one of the few places where you can even see evidence of a civil war. 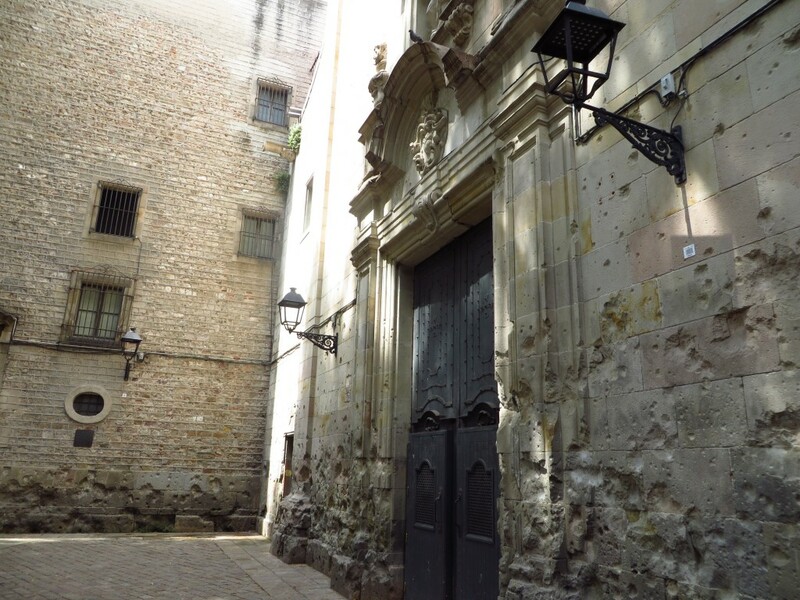 This church in Plaça San Felip Neri has a plaque on the wall that commemorates the people who died in an explosion in the square, victims of a Fascist bomb and perhaps even sniper fire. The church, targeted because of its proximity to a school, still bears the damage. At least 20 schoolchildren were killed. 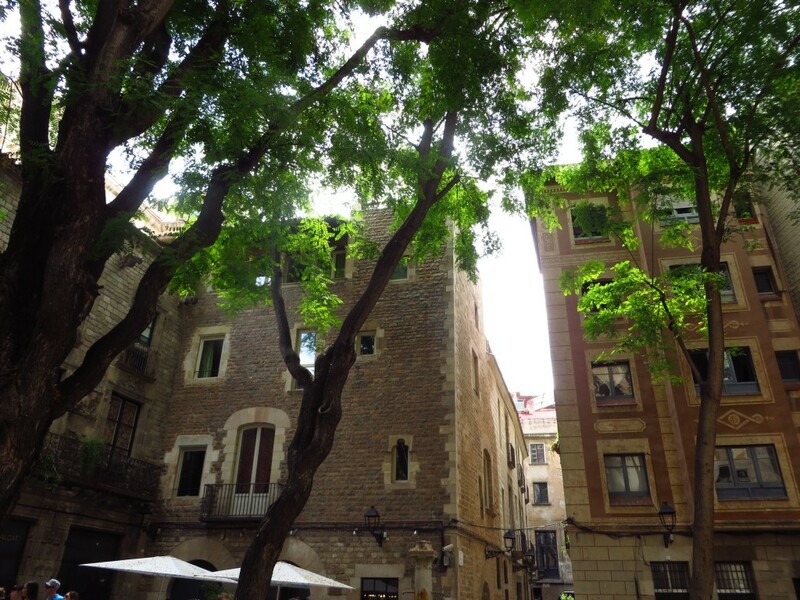 Today it is a beautiful square with flowers falling from the trees and a soothing fountain; a quiet place to get away from the lively Ramblas. You may even recognize it – it’s the setting for the scene in Vicky Cristina Barcelona where Javier Bardem rubs the wrong woman’s leg. The fountain is also the one in Evanescence’s song My Immortal – it’s a pretty apt song if you ask me. There’s no mention of the war itself, but this is one of the remnants of the country’s torrid history. In Spain, it felt like history is still being made every day. Yes, I understand that in a macro sense history is always being made, so let me clarify. Take the UK for example. The UK has a long history and has undergone drastic changes to become what it is today. In that sense, those major revolutions seem to have ceased and the country sees small shifts in the way of doing things rather than complete upheavals of the establishment. For someone just passing through it can feel like the place has stagnated. The UK has already arrived. On the other hand, Spain has an equally long history but is still building itself and the change in the air is tangible even just for someone visiting for a week. Last month, a king abdicated. Catalonia wants independence and you see the evidence of this desire on the balconies of people all over the region. People want to be done with the monarchy and there are regular protests for a Republic. The Spanish are sick of unemployment and corruption. In a sense, Spain is fascinating because you can feel like you are part of history in the making. 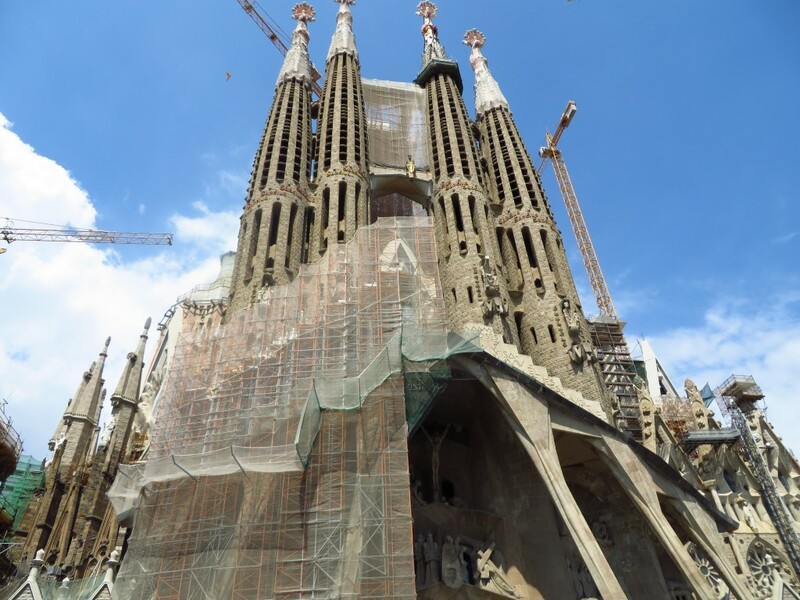 As they paved, drilled and lay bricks on one side of Sagrada Familia I could see the changes happening while looking at what the church is going to become. So maybe unfinished isn’t right, it’s a work in progress. Yes, Spain is a work in progress and what a glorious place it will be. Have you been to Spain? What did you learn about the place when you were there? I love to learn, so tell me in the comments! Loved this one. I think we’re all a little like Spain – a work in progress. Maybe that’s why it’s so easy to fall in love with it, it’s a kindred soul. Absolutely! I want to go back there every day. Thanks for commenting, Vanessa! This is such a great piece. I’m currently teaching English in Spain and often find myself frustrated with some of the differences in culture. 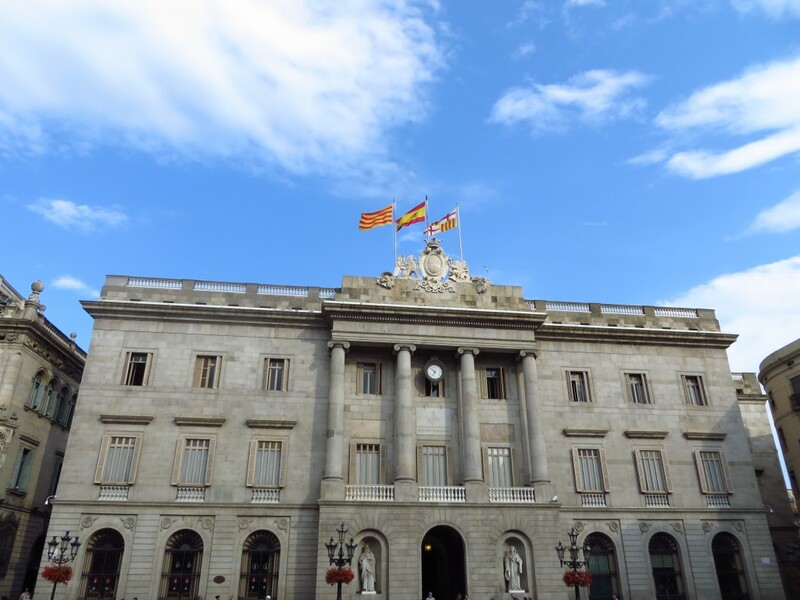 Ever since one of my friends pointed out to me that Spain’s democracy is only about 40 years old, it opened my eyes, and I’ve been trying to cut the country some slack. This post just further solidifies that and helps me to understand that I need to be patient with Spain, because it’s a work-in-progress. Thanks for writing this!